FCE is preparing the civil engineering design plans and specifications for the Fort Ord Dunes State Park Campground (Park). The project includes the existing Monterey Bay Sanctuary Scenic Trail. FCE has designed the northern and southern connections to the scenic trail, as well as, re-aligned the trail in the Park. The new trail will be 12 feet wide, approximately 1 mile long, and includes bike lanes and a pedestrian lane. 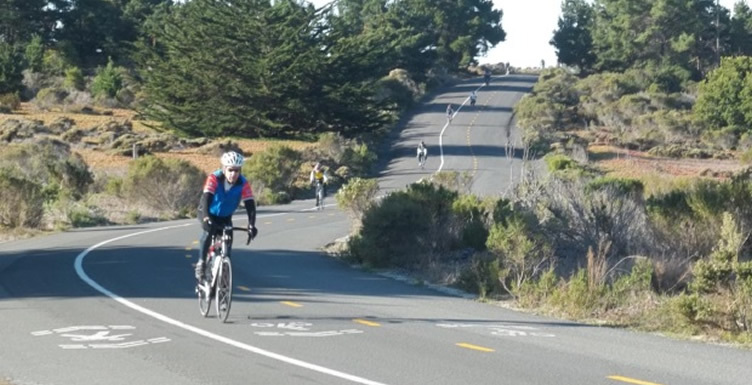 The new multi-use trail was designed using the Caltrans guidelines for a Class 1 bikeway. In addition to the multi-use trail, the Park will have accessible routes connecting the main elements including a scenic overlook and beach access through the sensitive dune ecosystem. FCE has successfully worked with the landscape architect and the environmental specialists to ensure the project accomplishes the project’s objectives within the site’s constraints. The project is expected to begin construction in 2016. FCE in collaboration with Joni Janecki Landscape Architect and Associates prepared civil engineering design plans for the renovation of the Moran Lake Park in Live Oak, California. Moran Lake is a 9.2 acre count park that provides beach access with picnic and restroom facilities. The improvements included a new parking lot, bathroom facilities, and over a mile of new or improved multi-use trails and walkways. The trails along the Lake allow for access to the adjacent beach and provide an alternate route for bicyclists and pedestrians. Pogonip Open Space District is a cis a scenic 640 acre park that includes many sensitive ecosystems such as open meadows, woodlands, and several creeks. 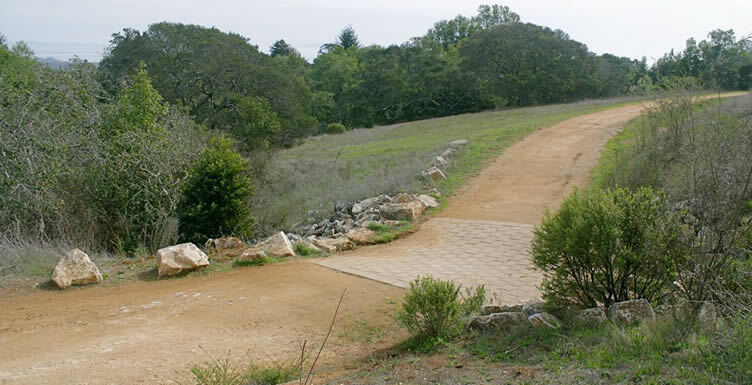 FCE was retained by the City of Santa Cruz to restore several gullies and improved access for approximately one mile of multi-use public trails in the open space district. FCE utilized LID and biotechnical approaches to manage runoff and erosion at the site with a combination of turf reinforced matting, boulder step pools, and paver lined ford creek crossings to slow down runoff, reduce sedimentation to downstream drainages, and improve access. 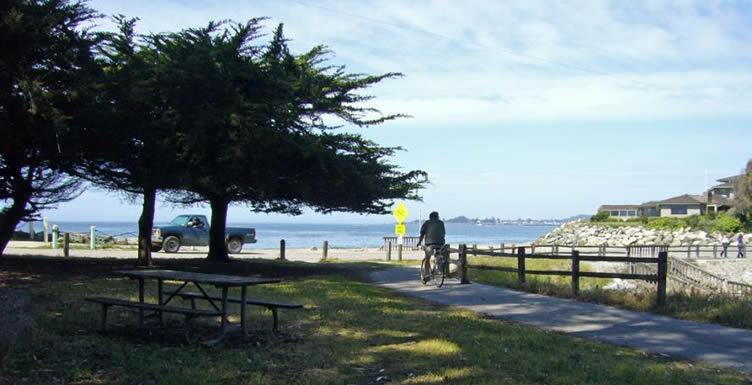 FCE prepared preliminary engineering design plans to improve over a mile of multi-use public trails and parking facilities for Cave Landing and Pirates Cove County Park located between Avila and Shell Beaches in San Luis Obispo. FCE designed improvements for over a half mile of multi-use trail that included trail realignment to avoid landslides, trail widening to allow for emergency vehicles and maintenance, and a 30’ free-span bridge crossing over a deep gully to provide unimpeded maintenance and emergency access. FCE also included improvements for widening the beach access trail and new stairs to improve beach access. FCE designed a new parking that included the use of bioretention swales. FCE in collaboration with Joni L. Janecki & Associate Landscape Architects prepared civil engineering design plans and specifications to improve the Natividad Creek Park. 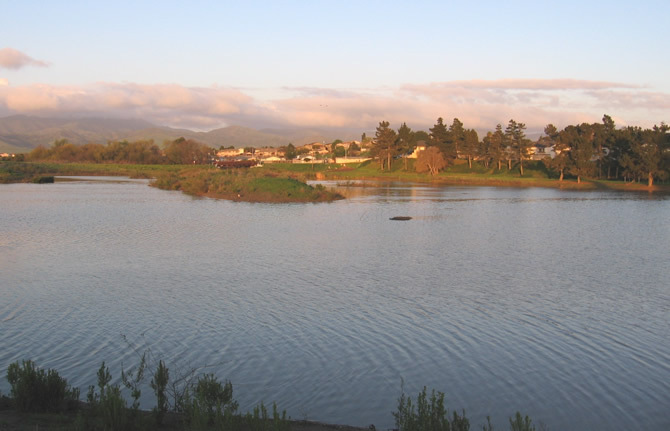 The 64-acre Park is located within Salinas and provided opportunities for stormwater detention/flood control, habitat restoration, and community experience. The projects within the Park included rehabilitation of lower Natividad Creek and the installation of community activity spaces and an Interpretive Nature Trail with bilingual signage. FCE also designed 18 acre freshwater wetland facility incorporated a multi-use trail around the wetland. The trail allows bicyclists and pedestrians the opportunity to safely access viewpoints and native species around the wetland. 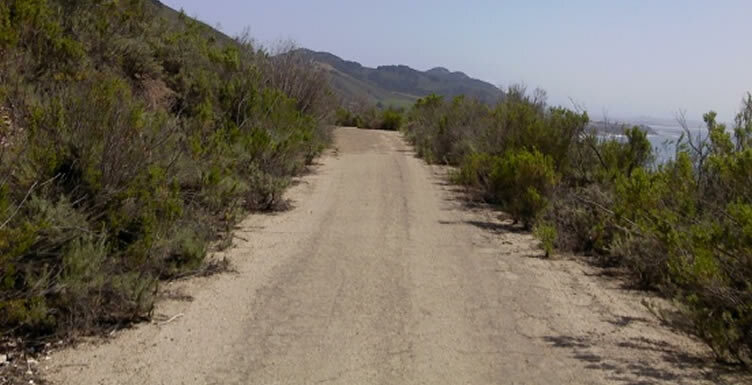 FCE prepared construction documents to improve over 8 miles of road and off highway vehicle riding trails in the Carnegie State Vehicular Recreation Area located in Livermore, California. FCE designed various improvements including trail realignments, trail surfacing, new culverts, two (2) precast bridge crossings, boulder step pools, and paver lined ford creek crossings to slow runoff, reduce sedimentation to downstream drainages, and improve access for recreational riders and emergency vehicles. 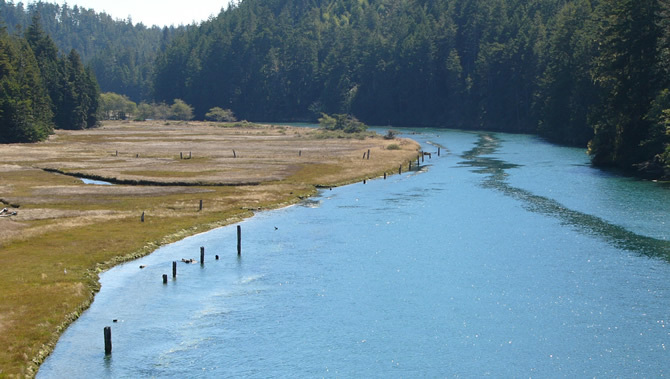 The Big River watershed is composed of approximately 181 square miles of the California Coast Range in western Mendocino County. The majority of the watershed has moderate-high to high erodibility, and is listed on the USEPA’s 303D list for water quality impairment for sediment and high water temperatures. The listing determined that sediment was impairing the migration, spawning, reproduction and early development of coho salmon and salmonids, and identified non-point source forestry as the probable cause. The purpose of this project is to improve habitat conditions for fish, wildlife, and plant populations within the vicinity of the project. Existing culverts are contributing to drainage channel erosion and sediment transport in the Big River watershed. A large amount of sediment from road fill in this area may be transported to Big River in intense storm events. These culverts have been found to be undersized and present potential risks to fish and wildlife if a failure were to occur. Through the removal of the culverts and subsequent replacement with a bridge, this project will help to restore natural vegetation and drainage patterns, reduce upslope erosion, sediment transport, potential for landslides and road failures, and will improve fish and wildlife habitat. 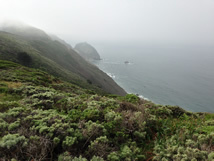 The project site is located on San Pedro Point, a rocky headland jutting into the Pacific Ocean about 15 miles south of San Francisco in San Mateo County. The Pedro Point Headlands site is 246-acre Pedro Point Headlands and consists of dramatic 600-foot high cliffs along the ocean and several steep ridgelines and a small valley. 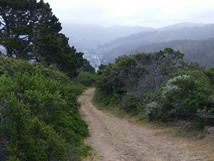 The proposed project is intended to minimize sediment transport to waterways through restoration of areas scarred by past off-road motorcycle use, while improving the existing trail network on approximately 40 acres at Pedro Point Headlands. 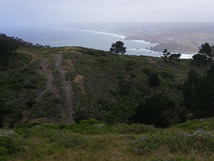 An abundance of on-site remnant trails are susceptible to erosion, attributed to former off-road motorcycle use when the Pedro Point Headlands property was leased to the Pedro Point Motorcycle Club. Incorporate a trail design and construction plan to build sustainable trails in place of ones to be decommissioned.